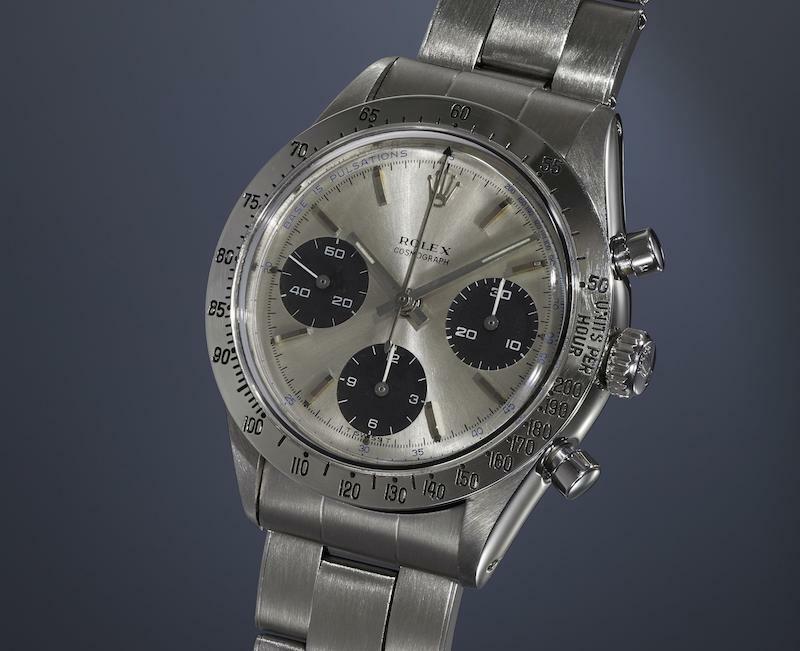 4 Stainless Steel Rolexes Sell For Over $6.5 Million! 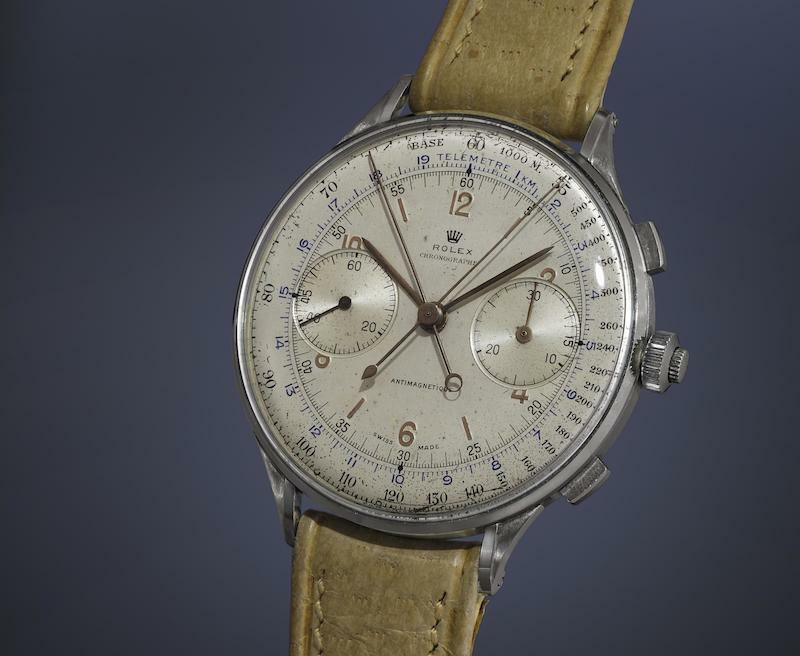 The Phillips’ 88 Epic Stainless Steel Chronographs auction that took place in Geneva on May 14 certainly lived up to its lofty name. Led by the one and only rock star of the watch auction world, Aurel Bacs, the hammer came down on incredible prices to match the astonishing watches presented with 100% of the lots sold. The undisputed king of stainless steel chronographs, four of the most expensive watches sold during the event were luxurious vintage Rolex watches, including two that sold for over $2 million! The undeniable highlight of the event was the Rolex 4113 split-seconds chronograph from 1942, which sold for an astounding $2,466,793 (CHF 2,405,000) ) — $800,000 over its pre-sale high estimate and a world record for a Rolex wristwatch sold at auction. Its oversized 44mm stainless steel case houses the well-preserved dial with two registers and pink gold Arabic numerals. It’s estimated that only 12 Rolex 4113 Chronos were ever produced and they were never for sale to the public, but rather, given directly to auto racing teams and drivers. This particular Rolex 4113 had already made appearances at two previous auctions — Christie’s New York in 1996 and Christie’s Geneva in 2013 — but judging by the sale price at the Phillips event, the saying “third time’s a charm” certainly rings true. 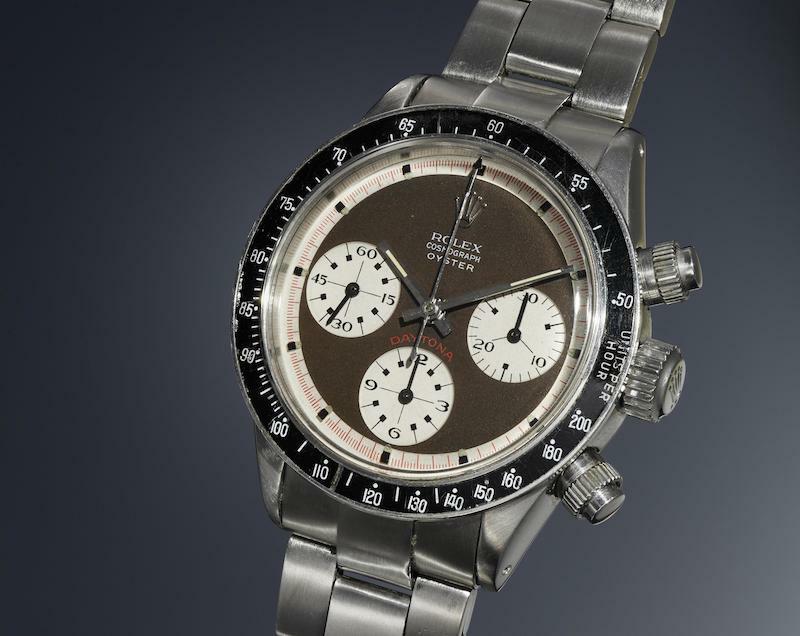 Another Rolex that broke the $2 million mark was the Daytona 6263 “Paul Newman Oyster Sotto” from 1969 that sold for $2,036,002 (CHF 1,985,000) with its distinct dial that aged into a rich brown hue over the years. 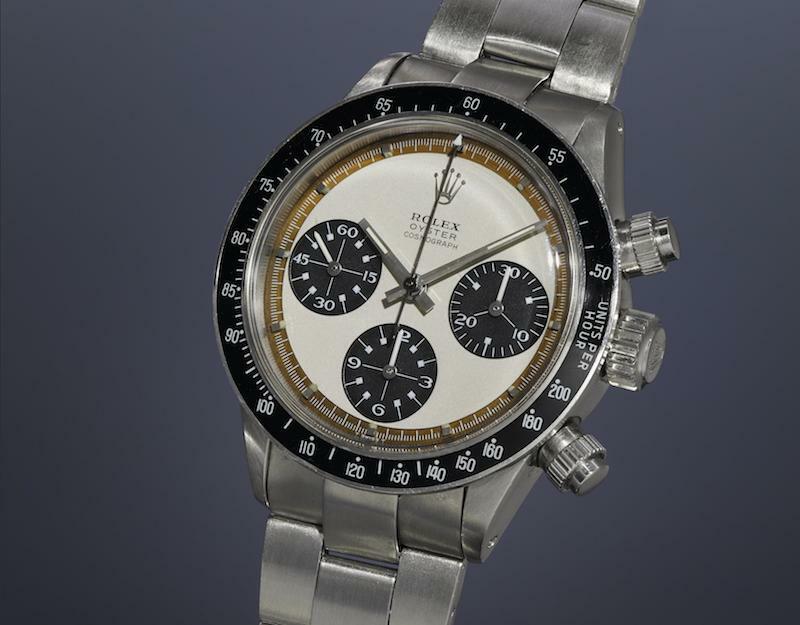 One of only two known Rolex “Oyster Soto” with the tropical dial, Phillips christened this particular model as “the world’s most important Rolex Paul Newman Daytona ever offered for auction“. Named so for its blue pulsation scale on the outer rim of the bezel that was specifically designed for medical professionals, the “Doctor” Rolex Daytona 6239 from 1966 sold for a cool $1,113,106 (CHF 1,085,000). A custom order Rolex for a VIP client, the chronograph function of the 6239 paired with the pulsation scale allowed a doctor to accurately measure the pulse rates of his patients. The fourth most expensive stainless steel chronograph of the night was the Daytona 6263 “Paul Newman Panda” that sold for $953,065 (CHF 929,000) A distinct feature of this Paul Newman Panda “Mark II” dial is the outer track that aged into a unique orange color. The 14 other stainless steel Rolex chronographs also commanded solid prices, with most of them reaching well beyond their high estimates, proving yet again, that there’s nothing like a vintage Rolex stainless steel chronograph. 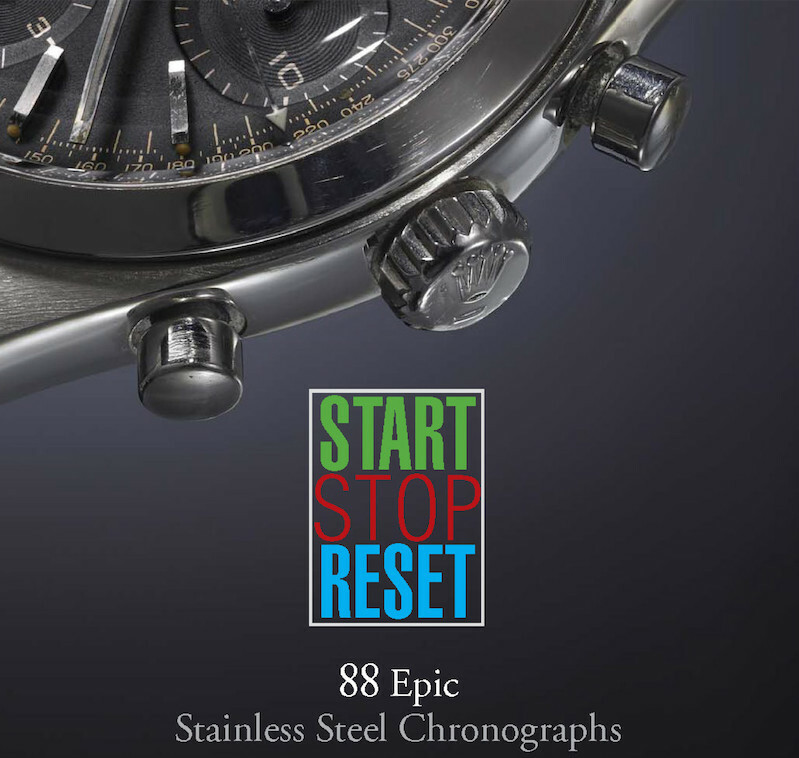 A truly exciting event for serious collectors of vintage stainless steel chronographs, and the watch world at large, it’s hard to image how Phillips will top their START/STOP/RESET: 88 Epic Stainless Steel Chronograph auction in the future.